Choosing granite edges, like straight lines, can have a modern appeal. 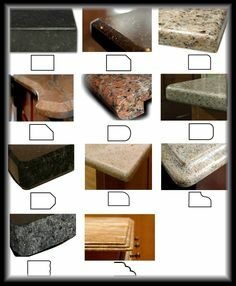 While choosing, ornate edges for your granite will give a sophisticated look. Stylized granite edges on your counter tops can create a stylish, comfortable look and feel to your kitchen. You may have admired the kind of granite a countertop was made of, but have you ever considered the shape of the corners of the granite? 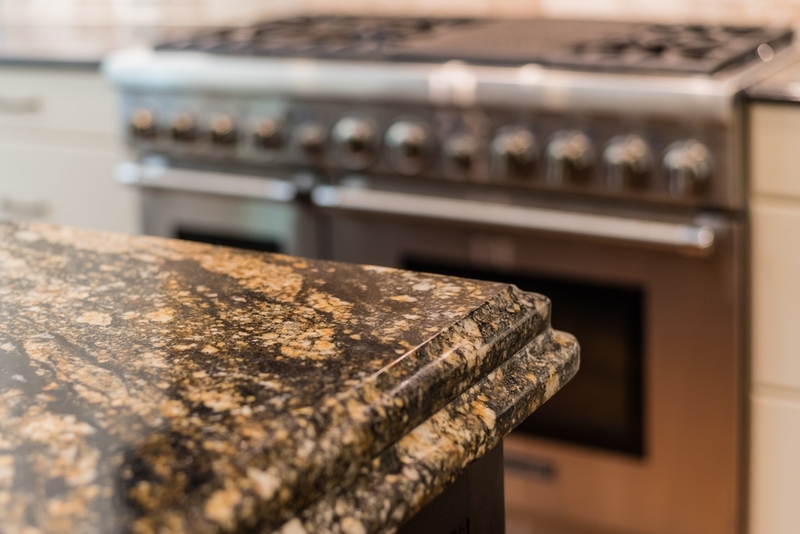 Although many people focus on the color and type of granite they want for their kitchen and bathroom countertops, most don’t consider how the granite edges can influence the style and comfort of the countertop’s appeal. 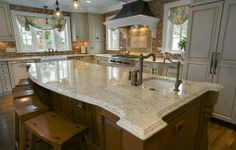 Custom granite edges are perfect for creating a unique kitchen and making the most out of the granite you’ve chosen for your countertops. These small details are what brings your kitchen together in terms of style and overall design. 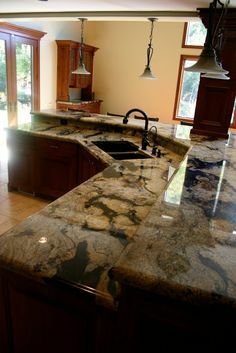 The type of granite edge you want is affected by the overall design and theme of your kitchen, as well as the type of granite you’ve used for your countertops. More modern kitchen looks with a contemporary feel will tend to have straight countertop edges, while more traditional looks can utilize rounded or bevelled edges for a more classic feel. The design of your kitchen affects the color and kind of granite you choose for your countertops. If you have a bright and colorful kitchen, you may want to choose a granite that is more of a solid color to even out the palate of the kitchen. If you’ve gone for a monochromatic look, a marbled granite with a few different colors in it could make your kitchen design pop. No matter what your design ideas are, there is a granite countertop for you. 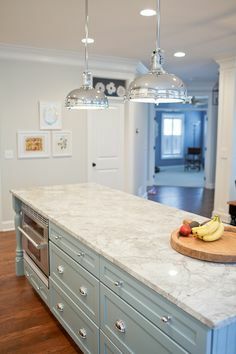 Adding in the right edge can bring in the perfect amount of detail to highlight the granite you’ve chosen, bring contrasting elements of your kitchen together, and create a unique look to an otherwise standard countertop. There are generally four different styles of granite countertops. These include straight edges, curved edges, fancy edges, and customized edges. 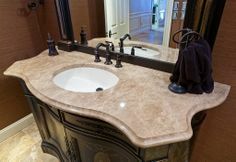 All of these granite edge design features can be used to compliment or mimic the designs that have been used in your kitchen or bathroom countertops. If you have a customized kitchen island, you can use the shape of the granite countertops to highlight this particular feature of the kitchen and use it as a focal point in the room. Granite edges can also be used to highlight the architecture of the room. By investing in these small details, you can bring your kitchen together in subtle and impressive ways. Here are a few more ideas for granite edges for your kitchen countertops. 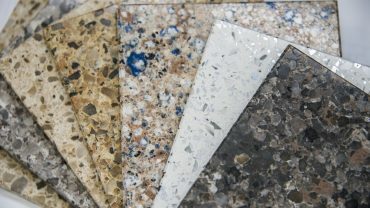 Here are a few popular styles of granite edges you can have on kitchen or bathroom countertops. Depending on the type of granite you want, a unique edge style could enhance the look of your kitchen. Ogee edges are one edge style to give your granite some elegant detail. The Half-Bullnose edge brings a sleek smoothness to your kitchen countertops. Eased edges are a simple way to emphasize the look of your granite countertop. Pencil edges are great for a modern, contemporary kitchen. The Full Bullnose edge is one way to enhance the look of your detailed cupboards or kitchen island. The Cove Ogee granite countertop edge is a highly detailed edge, pulling together architectural elements of your kitchen. The Triple Pencil edge gives your granite the attention it deserves with three rounded edges. The Quarter Bevel edge emphasizes rounded elements in your kitchen. The Ogee edge is popular with lighter granite countertops for bathrooms and kitchen. This kitchen utilized the Cove Dupont edge for the countertop. Straight edges don’t have to be boring- they can add style and simplicity to any kitchen design. 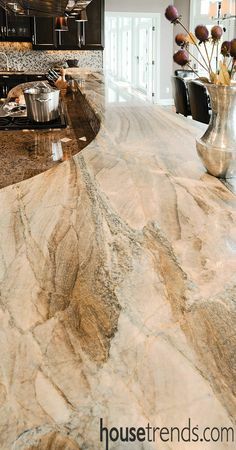 Granite edges can blend in with the curve of a kitchen countertop area. 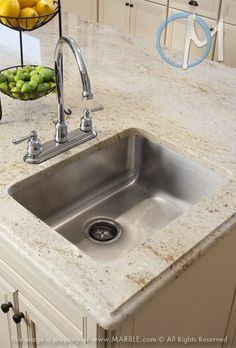 The type of granite edge you choose can stylize elements of your kitchen, like a farmhouse sink.